Landscaping involves getting down and dirty while working outdoors and exposed to the elements. You are going to need footwear that will protect your feet, keep them comfortable and dry, and prevent you from slipping. 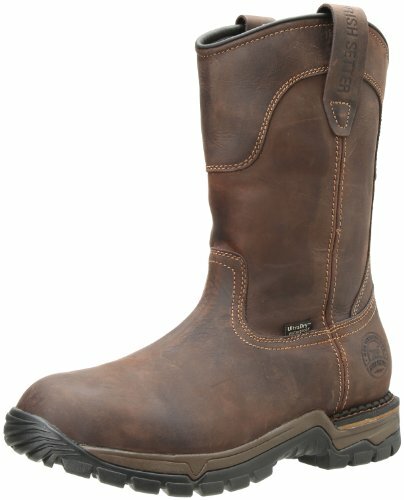 So what are the best work boots for landscaping? Let’s look at our top picks and why you need them. Constructed from nubuck leather, with a rubber compound non-slip sole, these boots are both tough and comfortable. They have a steel toe-cap, electronic hazard protection, polyurethane midsole, and a nylon shock-diffusion plate. Removable inner socks provide extra security in these boots, which are good for yard work or lawn care. 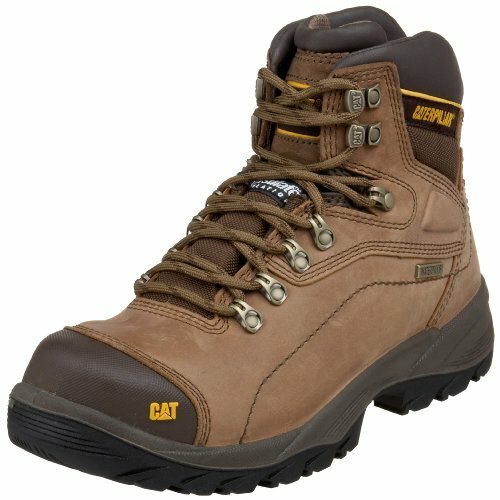 Caterpillar brings us a boot designed to support your feet and provide flexibility, comfort and stability. They have thermal insulation, a steel toe-cap, cushioned insoles and a supportive six-inch shaft. Waterproof, full grain leather uppers, a steel shank and non-slip soles make these excellent landscaper boots. A 100 percent leather upper and rubber sole, with a full-length EVA insert and a steel shank make these waterproof boots rugged for any field work. They have comfortable cushioning, a composite protected toe and electrical hazard protection. Oil, chemical and slip resistance, with a 6-inch shaft, gives stability and grip. Leather - Full grain leather offers water resistance and ensures safe and protected ankles on and off the job site. Plus string tie boot laces that are strong and sturdy to keep your boot tied and your shoes intact. These boots meet ASTM 2413-11 EH. Brown, oil-tanned leather; Cement construction. This longer, pull-on boot has an 11-inch shaft. Fully waterproof leather uppers, deep-cleat rubber soles with a non-metallic shaft and a cushioned polyurethane insole provide comfort and stability. Lightweight for all-day wear, these boots will stand up well for yard, field or garden work. These budget-friendly boots are 100 percent water-resistant, soft, flexible and slip-resistant. Made from a PVC polyblend, they have a steel toe-cap for added protection. The shaft is 14 inches in height, making them ideal irrigation work boots. Mother Nature can be unforgiving. When working outdoors, you need boots that will stand up to whatever she throws at you. These are our top picks. Timberland has been manufacturing quality work boots since the early 1970s. The Pit Boss has many of the features you would expect to find in a landscaping boot. The boots are available in sizes from 7 to 15, in medium and wide fittings. They come in a range of colors, including brown, black and wheat. Each boot weighs 1.58 pounds. The nubuck leather uppers have a 5.5-inch shaft and a padded top collar. Along with the cast-metal top hooks for lacing, these provide a stable and secure fit. 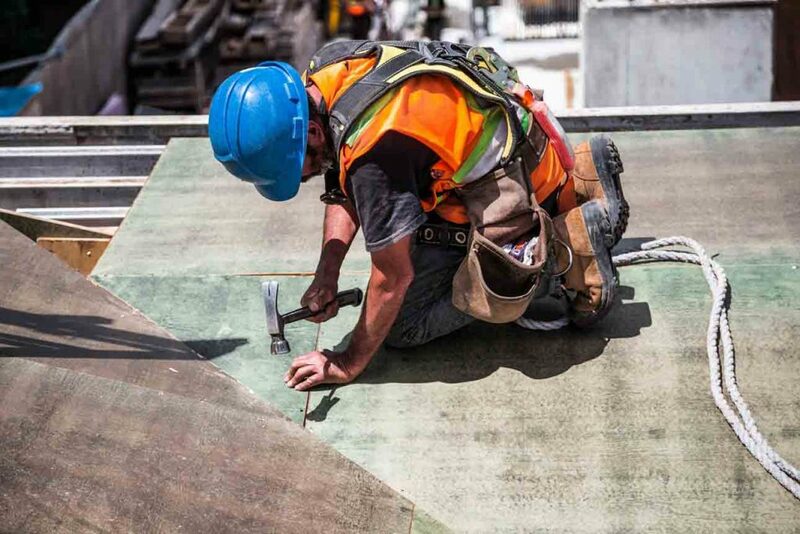 There is a high degree of protection from falling debris or materials with a steel toe-cap that meets ANSI standards. The boots also protect from electronic hazards. Traction is provided from the special rubber compound soles. These are heat-resistant and slip-resistant. They have a Goodyear welt construction, making them durable. Keeping your footing on slippery, muddy terrain should be a breeze. Comfort comes from the polyurethane midsole. The cambrelle fabric lining has an antimicrobial treatment to prevent foot odor and protect from blisters. The lining is also removable, making it easy to dry and clean. The sole contains a nylon plate that gives shock diffusion, support and rigidity. These boots may take a bit of wearing in, but once they are, they will be very comfortable. While not waterproof, they are a good choice for general yard work boots. This video, from The Boot Guys, highlights some of the features of the Timberland Pit Boss boots. Wide range of sizes and widths. High level of protection from steel toe-caps and rubber soles. Comfortable inner sole with antimicrobial properties. Sizing is slightly on the small side. Might take a few weeks to break them in. These boots are stylish, durable and comfortable. 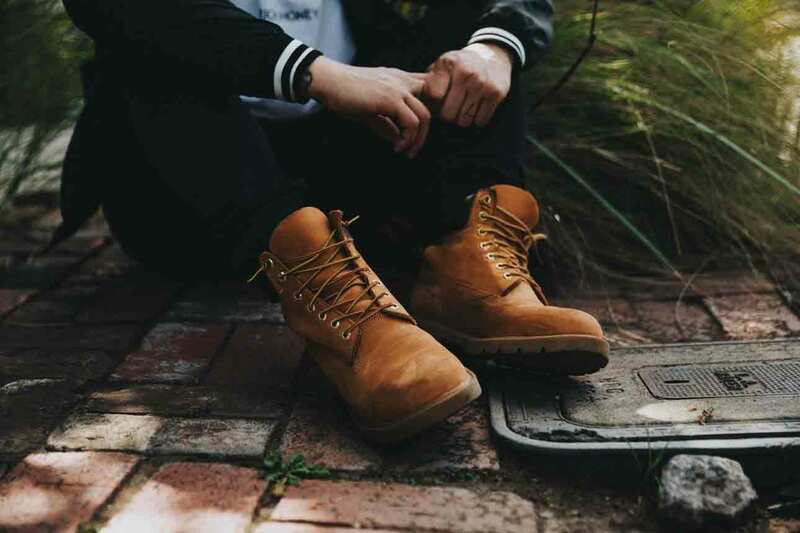 Timberland has ensured the quality with features including: leather uppers, rubber soles and a steel toe-cap. While not waterproof, they are still a good choice for landscaping boots. The Caterpillar brand is known for producing high quality, durable work boots. The Diagnostic is no exception. Crafted from waterproof leather, there are many safety and comfort features. These boots are available in two widths, medium and wide, and in sizes from 7 to 14. The size comes up pretty true to fit, meaning finding some to suit is easy. Safety is provided by a steel-toe cap and electric hazard protection up to 600-volts open circuit in the dry. The outsole is Caterpillars SRX Best-in-Class. 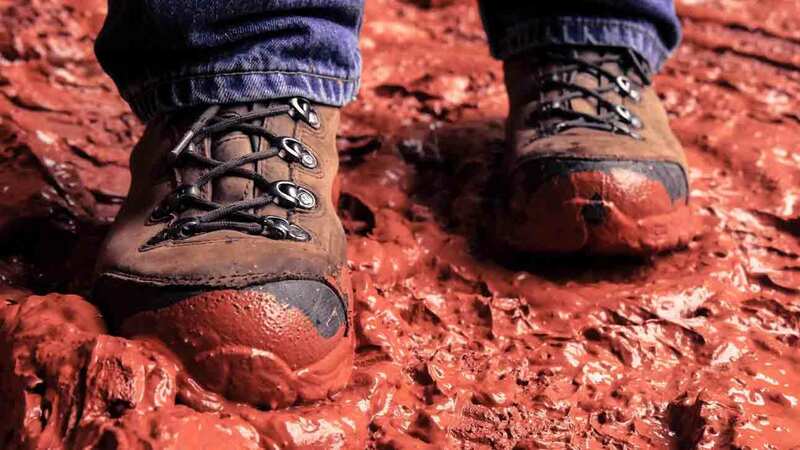 It is slip-resistant, reducing the risk of falls on muddy surfaces where there is little traction. There is a built-in steel shaft for durability and the sole is oil, heat and abrasion resistant. The shaft of the boot measures six inches, and there is cushioning at the ankles. This gives support and comfort when trudging around a yard. Full grain leather uppers have a nylon mesh lining that makes them breathable and waterproof. Feet will stay dry and be protected from rain and snow, or even the morning dew on the lawn. There is a removable EVA perforated insole that uses gel technology to give cushioning and comfort. These boots also have 200 grams of Thinsulate, giving thermal protection to keep your feet warm. Stylish and lightweight, these garden work boots will stand up to most things you throw at them. This video, from Caterpillar, explains some of the features of this boot. Six-inch shaft with cushioning for comfort. Safety provided from a steel toe-cap and electrical hazard protection. Rubber sole can separate from the upper over time. The waterproof leather is comfortable, durable and gives lots of safety protection. Carhartt makes workwear to cover your needs from head to toe. These lightweight work boots are both rugged and durable. Made from brown, oil-tanned leather, these boots are water resistant and have a comfortable padded collar. The six-inch shaft gives support and flexibility to your ankles. They also have abrasion-resistant heel bumpers, providing durability. The composite toe ensures protection for your feet from falling objects without adding weight to the boots. The extra-wide space in the toes won’t cramp your feet and provides comfort and more movement. There is also electrical hazard protection. The rubber soles are slip-resistant, with gripping lugs and channels, and provide shock absorption for your feet. Made using Carhartt’s Rugged Flex technology, they are flexible while remaining sturdy. There is comfort cushioning built into the footbed with full-length EVA, dual-density and an Ortholite top layer. A steel shank provides stability. The boot laces are made to last and hold your footwear firmly on your feet. With sizes from 8 to 15, in medium and wide fittings, finding a pair to fit perfectly will be a snap. This video, from Working Person’s store, shows some of the features of these boots. The heel area is quite rigid and might take some wearing to break in. The lightweight and composite toe protection makes these good for garden work boots. Their flexibility, traction and comfort allow you to wear these boots all day. Irish Setter is part of the Redwing brand and has been manufacturing sturdy, hardwearing boots since the 1950s. If your preference is for a higher pull-on boot, this could be the one for you. The shaft measures 11.5 inches with a 15.5-inch round opening. They come in sizes from 8 to 14, in medium and EE fittings. They are made with the Irish Setter ultra-dry waterproofing system, to ensure that no moisture gets in. Being a Wellington style means this leather boot has no laces or holes for water to enter. The outer sole measures 1 inch with a 1.5-inch heel. Made with Vibram branded rubber, the sole has superior grip and durability. Stableflex technology gives increased flexibility in the sole and heel with a stable platform. The outer soles are heat resistant to temperatures of up to 475 degrees Fahrenheit and meet electrical hazard standards. For antimicrobial treatment, the inner is lined with a super knit, containing Agion. There is also a polyurethane insole for comfort that can be removed. A shank that is non-metallic provides added support to the foot midsole. Whether working in lawn care, garden work or irrigation, these landscaper boots will keep feet dry and keep traction. 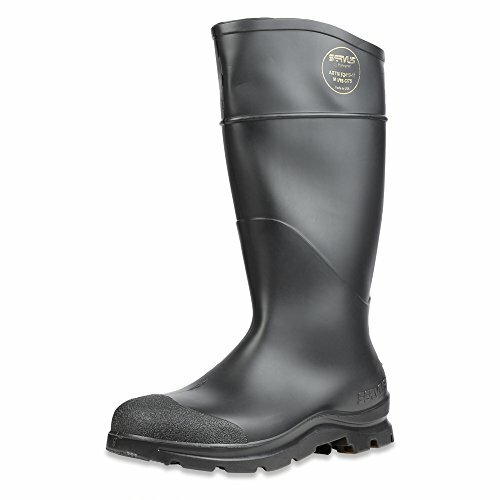 11-inch shaft, waterproofing and pull-on style ensure feet stay dry and warm. Antimicrobial-treated lining keeps feet fresh. Vibram sole for added grip. May take a bit of effort to put on. Might not be suitable if you have a high instep. These high boots are made from waterproofed leather which is perfect for working outdoors. A Vibram sole provides traction and a non-metallic shank gives stability. Comfort insoles and antimicrobial-treated liners keep feet fresh. If you are looking for good boots for landscaping on a budget, these boots from Servus could fit the bill. While they are inexpensive, they are still packed with features, providing quality and comfort. The shaft of the boot measures 15 inches and has a scalloped design for comfort and flexibility. They are available in sizes 3 to 15, and are suitable for men and women. These boots are lightweight and have a contoured cushion insole, which supports the heel and arch. The insole can be removed and is washable. Their seamless construction, made from polyblend PVC, ensures they are 100 percent waterproof. They also protect from, and are not degraded by, agricultural chemicals and fertilizers. The sole has a unique Trac10 design, with deeply angled cleats. This enhances their traction and gives stability. The heel cup is also contoured to prevent it from slipping. Critical stress points in the boots are reinforced to give the boots durability. They are soft and flexible, even in cold weather, meaning there is no restriction of movement. A steel toe-cap protects feet from damage from debris. These boots are also available in a bright yellow with a black sole. Additionally, they are available without a steel toe-cap. This video from MT Gear Man shows some of the features of these boots. Seamless design for 100 percent waterproofing. Deep angled cleats for traction. Might come up larger than true size. These boots are an inexpensive option for landscaping but have everything you expect from a work boot. They are 100 percent waterproof, slip-resistant, flexible and durable. Why Do You Need Special Work Boots for Landscaping? Landscaping involves working on many different terrains. On a good day, you might be taking care of a lawn, installing irrigation work or generally cleaning up a garden. On another day you could be clearing an overgrown backyard, demolishing a shed or breaking up an old patio. You are likely to come into contact with sharp rocks, uneven surfaces, mud, water and thorny vegetation. Your feet need protection to keep you safe. Not only that, but you want to make sure they remain comfortable, dry and warm. Normal boots might just not cut it when you are landscaping. They may be suitable as lawn care boots, but when it comes to the heavier duty work, you need something strong and sturdy. 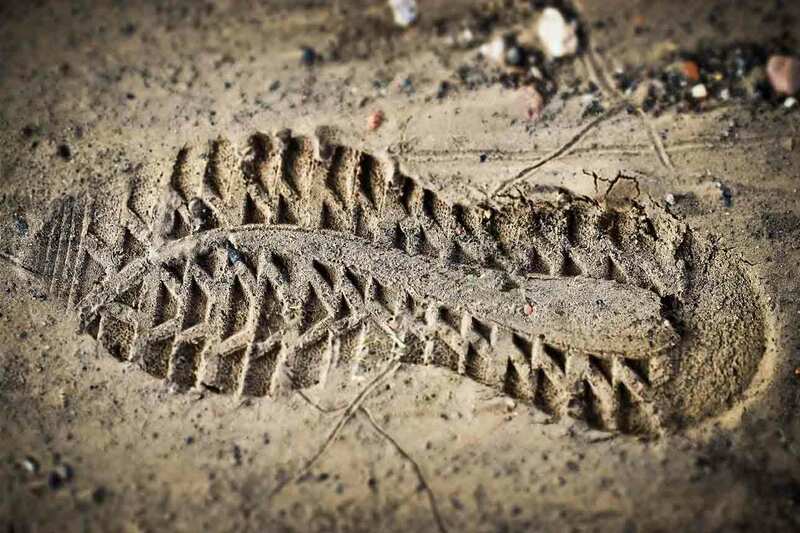 Let’s look at some of the features that are good in field work boots. You want a boot that can protect your feet from both above and below. A strong leather upper can prevent injuries from sharp blades, such as lawnmowers, shears or even chainsaws. They will also stop thorns from pricking and nettles from stinging. Steel or composite toe caps will protect your toes from anything you might drop on them. Whether it’s a branch from a tree or a paving slab, they will help prevent damage. Another feature to look for is a metal or other type of protective shank. This will keep your feet safe from nails, sharp edges on rocks or anything else that can puncture the sole. Even a thick rubber sole can provide some defense against a puncture wound. Good foot protection will save you having to second guess where you put your feet every time you take a step. If you are likely to be working around electrical equipment, protection from this potential hazard is also a good feature to look for. When working in landscaping, you cannot escape the elements. Rain, snow and morning dew all make the ground wet and muddy. They leave puddles behind, which can’t be avoided. 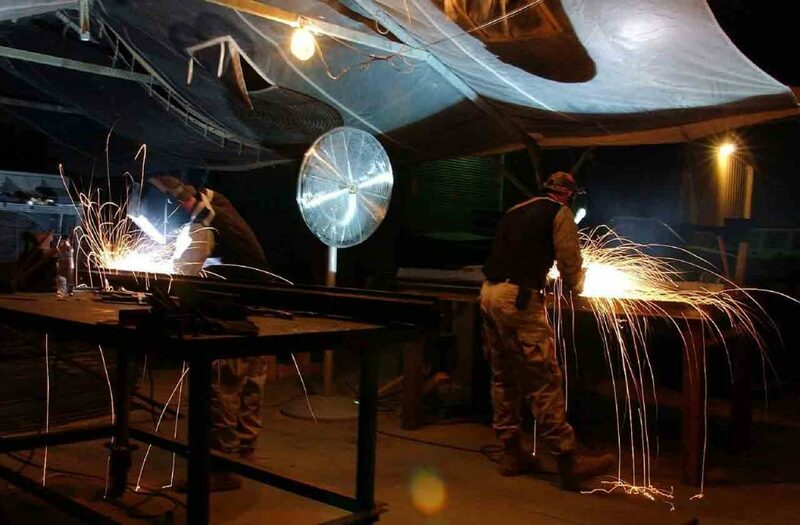 The work could involve installing irrigation, sprinklers or water features. Mixing concrete also requires the use of water. All these factors conspire to get your feet wet. At a minimum, you want boots that are water-resistant and, at best, waterproof. Leather uppers will give a degree of moisture protection, as will rubber soles. However, when treated and sealed properly, they can keep all the water out—making sure you don’t end up with soggy socks. Moisture doesn’t always come from outside your boots. There is little we can do to prevent our feet from sweating, especially when enclosed in warm boots all day. Many garden work boots have liners with antimicrobial treatments. These help prevent bacteria from multiplying and causing odors. Many also have removable insoles and liners that can be taken out and dried. Fallen leaves, muddy gardens and soft sand or soil can all be slippery. Uneven ground with hidden rocks and loose vegetation are not uncommon terrain for landscapers. Having a boot that is slip-resistant and stable will help prevent a fall or a twisted ankle. Look for boots that have cleats in the soles, which will grip and give more traction. Good ankle support and padding can protect against twists. A boot with a long shaft that fits well fortifies the strength and stability. Some boots have a metal or composite shaft built into the midsole. This will help prevent the boot from bending in the middle and give you a firmer footing. Trudging around in yard work boots all day can be tough on your feet. It can leave you prone to blisters and fatigue. It’s not just your feet that can suffer. Boots that are not comfortable and giving the right support can cause backache, and wear and tear on other bones and muscles in the body. Many boots have contoured bottoms to provide the correct support where it’s needed. Look for ones that have gel in the insoles, are padded and give arch support. These will absorb the impact of hard ground and protect you from fatigue and injury. Also look for padding to protect ankles and strong laces, ensuring a proper fit. Poor-fitting boots will not be comfortable. Work boots are a tool of the trade for landscapers. They are an investment that you will want to last. Quality materials, like leather, and good rubber soles, will mean a longer life for your boots. Taking care of your boots can extend their lifespan by giving you more use from them. Don’t leave them covered in mud all the time, so make sure you clean them regularly. They may have been waterproof when you bought them, but this can degenerate over time. Retreat them with a waterproof spray. The manufacturer of your boots might recommend a particular oil or spray for your boots, so check their advice first. 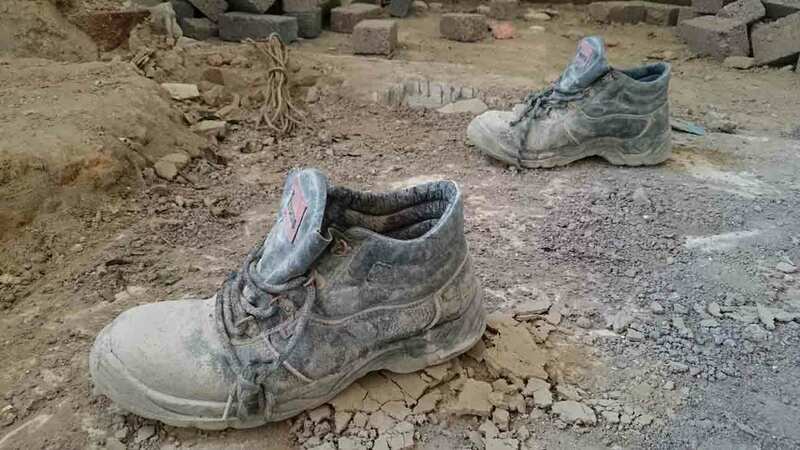 Leave the work boots in the open to air at night, and remove insoles or liners to dry out. This will prevent foot odor and keeps your feet fresh. Chances are, your laces will wear out before your boots do. If you notice this happening, change them out. A frayed or stretched lace won’t hold your boot in place as well. Many people want to know about the ability of a pair of boots to protect their feet from getting wet. A water-resistant boot will give some form of moisture protection, as will a good leather. However, if you are working in water that is likely to cover the boot, lace holes will let water in. Check the manufacturer’s description. A Wellington style landscaping boot that is treated to be waterproof will be more likely to keep your feet dry. Also look for work boots with a good seal between the sole and upper. Which Is Better, Steel or Composite Toe Caps? 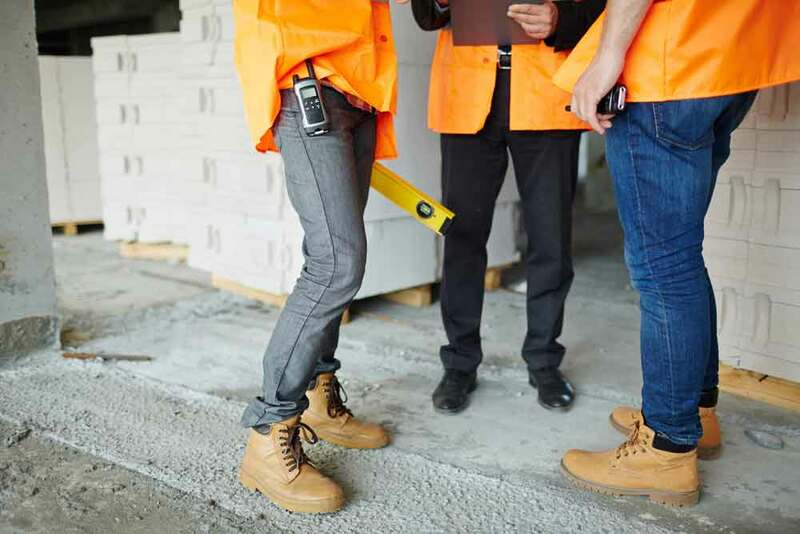 Steel toe-caps are strong and will protect your toes from damage if something is dropped on them. They can be quite hard, tend to make boots heavier and don’t have any thermal protection. They can also attract a higher price tag. Composite toe-caps are generally made from materials such as plastics, kevlar or carbon fiber. They are not as strong as steel toe-caps but are lighter in weight. This video looks at the contrasts between different safety toe-caps. 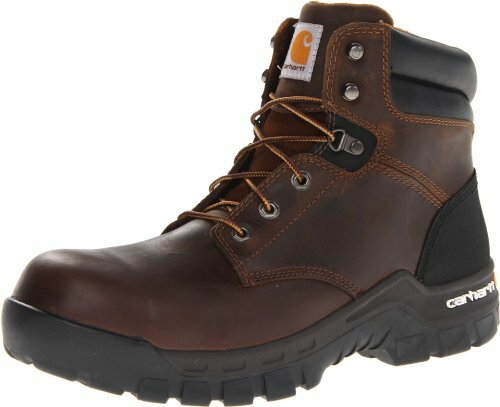 Which Work Boots Are Best for Landscaping? A work boot that has all the features you would want when landscaping is the Caterpillar Diagnostic. 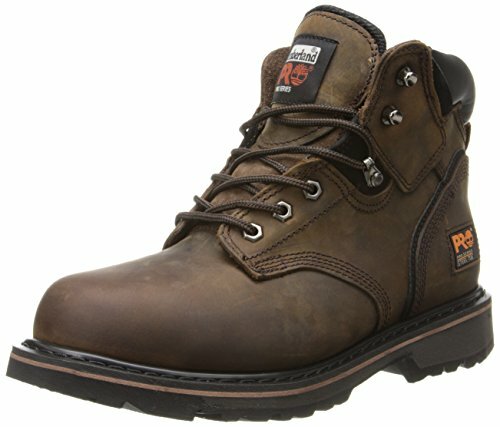 Made from full grain leather, these boots have a steel toe-cap and are waterproof. They also protect you from electrical hazards. The slip-resistant sole provides traction, and has a built-in steel shank for stability. The ankle is padded for support and comfort, on a six-inch high shaft. They are breathable with a nylon mesh lining, and have Thinsulate to keep feet warm and dry. Ultimately, your choice depends on what you require from a boot, but the Caterpillar would be a good selection for most purposes. We hope you found our guide to the best work boots for landscaping useful and enjoyable. If you have a comment for us please leave it below, and don’t forget to share.